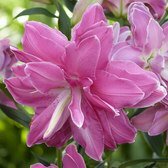 Pollen free lilies are an exciting new introduction, giving all the colour and grace of the tradtional lilies but without the pollen. 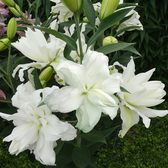 Being 100% pollen free they are ideal for cat lovers and people who suffer from hay fever. 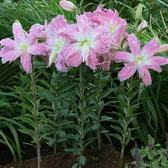 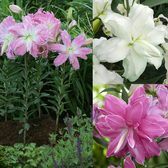 These cat friendly lilies will also eliminate the stained clothes, upholstery, tablecloths which can arise if they come into contact with the anthers.